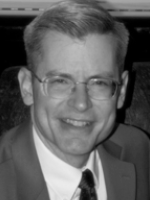 A native of St. Albans, Vt., Michael J. Colburn began his musical studies at age ten on euphonium. In 1982 he attended the Crane School of Music at the State University of New York in Potsdam, studying euphonium with Dr. Peter Popiel. In 1984 he transferred to Arizona State University in Tempe, where he studied euphonium with Daniel Perantoni and trombone with Gail Eugene Wilson, earning a bachelor’s degree in music performance in 1986. In 1991, Col. Colburn received a master’s degree in conducting from George Mason University in Fairfax, Va., where he worked with Anthony Maiello. In 1987, Colburn won a position playing euphonium with “The President’s Own” United States Marine Band, and was designated principal euphonium in 1991. In 1996 he was appointed Assistant Director, and since 2004 has served as the 27th Director of the U.S. Marine Band. Colburn is an active guest conductor and clinician. He has twice led the All-New England Festival Band, the All-Eastern Band, and has guest conducted several high school and college bands and wind ensembles. In December 2009 he served as the “Arnald D. Gabriel Resident Wind Conductor” on the campus of Ithaca University. Colburn is committed to the commissioning of new music for wind ensemble and concert band. He has worked closely with major American composers such as David Rakowski, Melinda Wagner, Michael Gandolfi, Jennifer Higdon, David Chaitkin, and film composer John Williams. He has served as an adjudicator on panels for the Sudler Award, the Barlow Endowment, and the Col. George S. Howard award for excellence in military bands. Colburn serves as music director of Washington, D.C.’s prestigious Gridiron Club, a position first held by John Philip Sousa, and is a member of the Alfalfa Club, the American Bandmaster’s Association, and is a board member of the Sousa Foundation.